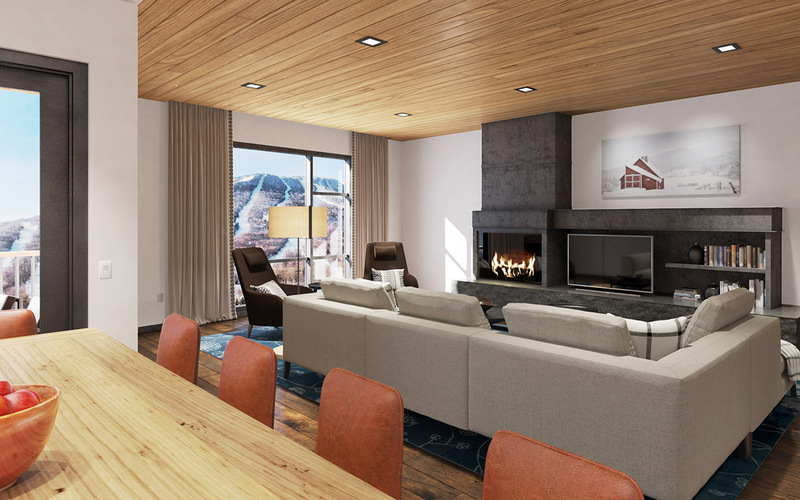 TruexCullins is currently developing the new standard for luxury slopeside living in Vermont. 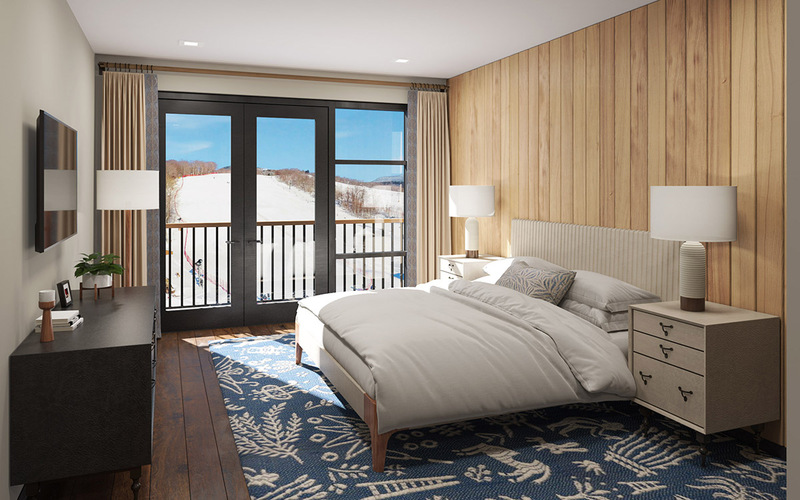 The newest development project at Spruce Peak Village is One Spruce Peak, a 6-story collection of 27 ski-in/ski-out residences, townhomes, and penthouses. 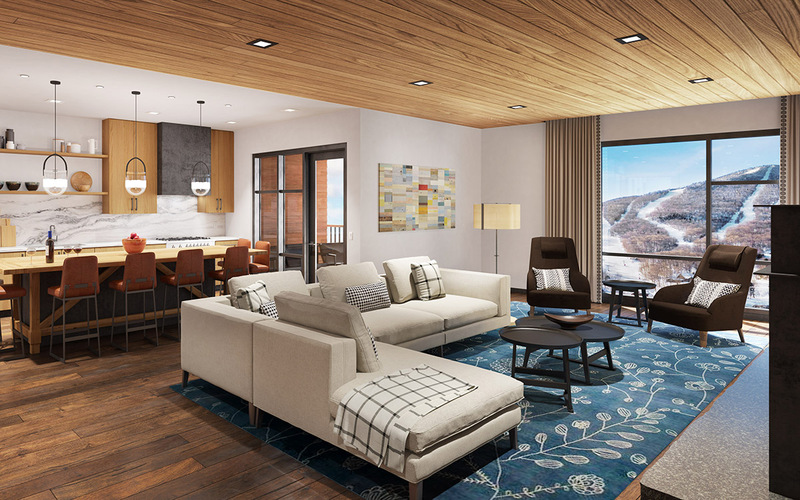 As the interior designer for this ambitious project, we are leveraging our experience with contemporary mountain design to make One Spruce Peak tailor-made for Vermont. Units range from 3-bedroom, 2,500 square foot residences up to 5-bedroom, 5,000 square foot penthouses. All units feature south-facing outdoor balconies with views of Mt. Mansfield and bedrooms that open to views of the Spruce Peak ski slopes. 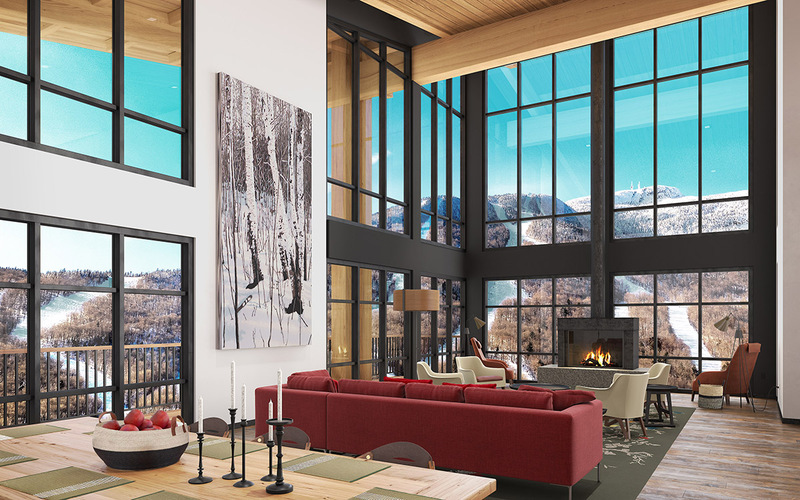 Top level penthouse units feature floor-to-ceiling windows up to 20’ high offering commanding mountain views. Private elevators open directly into a welcoming entry foyer with hardwood paneling, custom millwork and decorative lighting. The south-facing Great Room features a custom fireplace with a rock-pitched granite hearth, character-grade oak floors, and a separate dining and bar area. The kitchen is designed to be the heart of the home, with a large farm-table island of reclaimed chestnut, highlighted by custom glass pendants, perfect for large family dinners and après-ski gatherings.